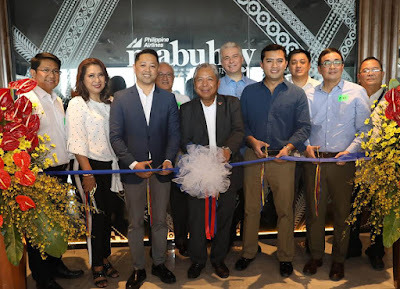 Aviation Updates Philippines - The brand new Philippine Airlines Mabuhay Lounge at the Mactan Cebu International Airport in Terminal 2 is all set to open its doors to the 4-Star carrier's business class and premiere elite passengers soon. THE BEST AND THE MOST BEAUTIFUL MABUHAY LOUNGE. Philippine Airlines inaugurated its newest PAL Mabuhay Lounge inside the yet-to-open Mactan-Cebu International Airport Terminal 2. Photo by Philippine Airlines. 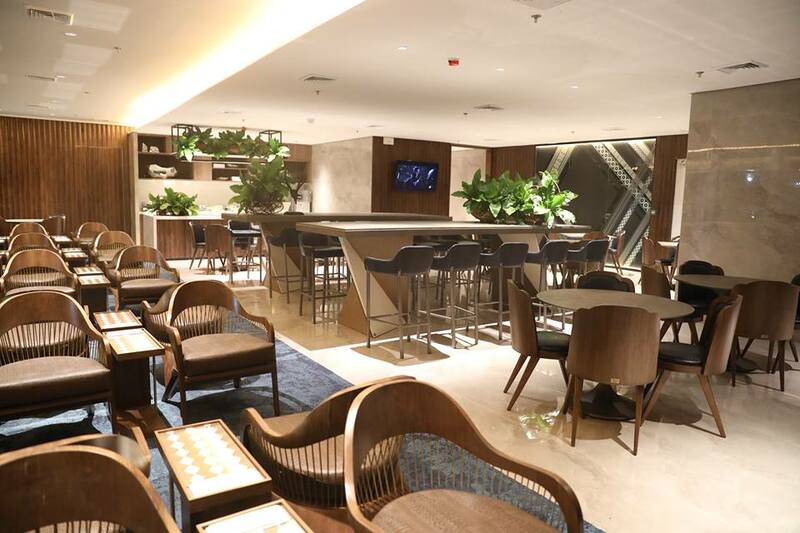 The PAL Mabuhay Lounge will serve PAL's international network of flights departing from Cebu to Tokyo, Beijing, Osaka, Nagoya, Chengdu, Bangkok, Seoul and other regional points. PAL's hub is the prime tenant of Mactan Cebu's dazzling new Terminal 2, which is now in the final stage of preparations for regular commercial operations. In preparation for the much-awaited opening of T2, simple blessing ceremonies were carried out on Thursday, June 28 at the new lounge. PAL President and COO Dr. Jaime J. Bautista (center) led a ribbon cutting ceremony together with GMR Megawide President Manuel Louie Ferrer, (left of PAL Pres Bautista in the picture), DOT Region 4 Director Shalimar Tamano (right of PAL Pres Bautista) and other PAL officials. Also in attendance at the simple brunch reception, following the blessing ceremony, were Mactan Cebu International Authority General Manager & CEO Atty. Steve Y. Dicdican and GMCAC Chief Executive Advisor Andrew Harrison. The Mabuhay Lounge is located one level below the central airside section of the new Terminal 2, and boasts a panoramic view of the aircraft movement area. FRESH INTERIOR DESIGN. Inside the Mabuhay Lounge at MCIA Terminal 2. With design context by GRiT Design Studio and execution by Atelier Almario, the lounge showcases Filipino culture by way of combining contrasting influences - Eastern and Western. These contrasts are seen via the presence of lines and curves, as shown by a multi-faceted cantilevered reception desk in the entry foyer, adorned with a background of tribal tapestries cut and laminated on back-lit glass. The lounge features several cozy seating areas for relaxation along with a number of dining tables. Two spacious bar tables dominate the center of the 190 square meter lounge space. Passengers enjoy a wide food and beverage selection that includes PAL's trademark arroz caldo, and access to free Wi-Fi. The open layout of the lounge projects the warm and welcoming nature of Filipino hospitality. Natural wood finishes lend warmth to the space, and the texture of stone provides a dramatic contrast. PAL's lounge product design teams set up the lounge in just 45 days, in line with the flag carrier's commitment to deliver 4-Star Quality premium service to the flying public.